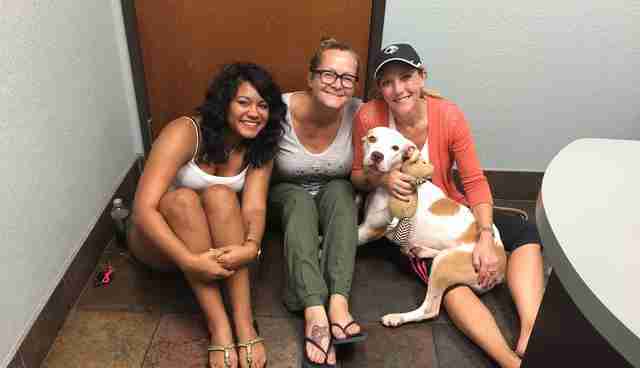 After being left in a boarding facility, Lacey, the pit bull mix, was shutting down. She was getting depressed. She wasn't eating. She wasn't facing forward anymore. She wasn't responding to any human contact. She was just letting go. She didn't want to live a life in a cage and run any more, and was letting herself go. The "rescue" that originally pulled her from a high-kill shelter in Arlington, TX abandoned her there. Never visited, never took her to adoption events, never paid for her boarding or called to ask about her. 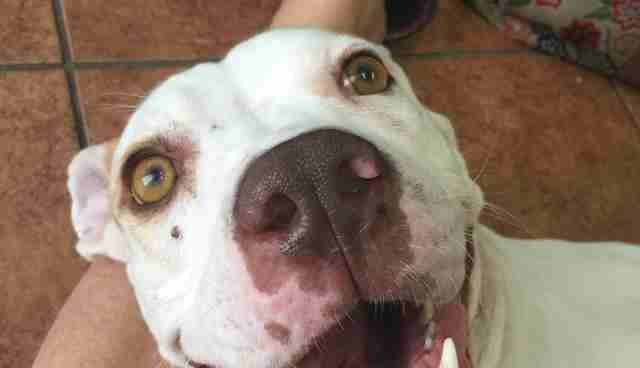 The boarding facility asked her several times to come and get her but she did nothing. The owner of the boarding facility asked us if our rescue could help. We got our thoughts together and mapped out a plan. You see, for what we knew of Lacey - and that wasn't all that much - she was dog aggressive, toy aggressive and a little too hyper for smaller kids. She was not big but not small either, so we had to be careful who fostered her, who trained her and most importantly, who eventually adopted her. Those were big plans we needed to make. We contacted a great trainer who made room for her right away. We wanted to make sure if we were going to take her in, that we had a solid plan so this girl would never have to live this kind of life again. (Let me say that this boarding facility is excellent but have their hands full in a state full of unwanted dogs, so they did what they could and without asking for one dollar from the original rescue.) We knew she needed basic training and manners; to be evaluated around other dogs and pets in general; and a basic knowledge of how to be a great inside dog for a great family that would eventually adopt her. We found the perfect trainer for her and we were all set to go. Her first day of training was to be Aug. 17. We spoke to one of our foster moms and she agreed to: go and get Lacey from boarding, get her shots updated, a heart worm test, heart worm prevention, and, of course, some toys she could play with. All was going well that day. Tests done and negative - which we were happy about - shots updated, rabies certificate done and filed, food and treats ready to go, training with her and a brand new doggie bed, to make her as comfortable and loved as possible. (This was Aug. 15.) Lacey was at the foster's home for about five hours when she was let outside to have her final potty break for the night. An emergency vet was next. She spent seven days there, with two surgeries. The vet gave us no hope of saving her. Two bullets are lodged inside Lacey that can never come out, as they would surely kill her to remove them. One is at the base of her brain that completely disintegrated her left eardrum and blinded her in her left eye. She is completely deaf and blind on her left side. 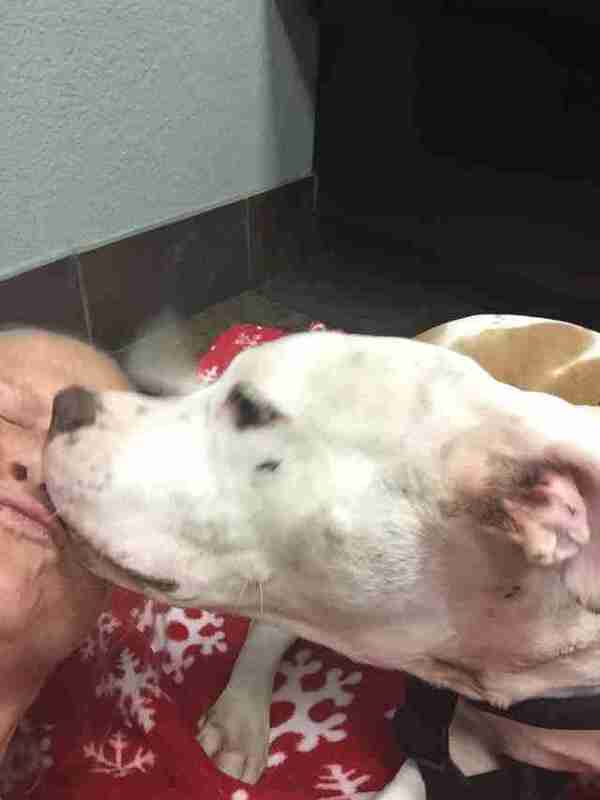 The other bullet is in the nerve endings at the tip of her spinal column that have almost completely incapacitated movement in her right front leg. What we didn't know was Lacey was a survivor! 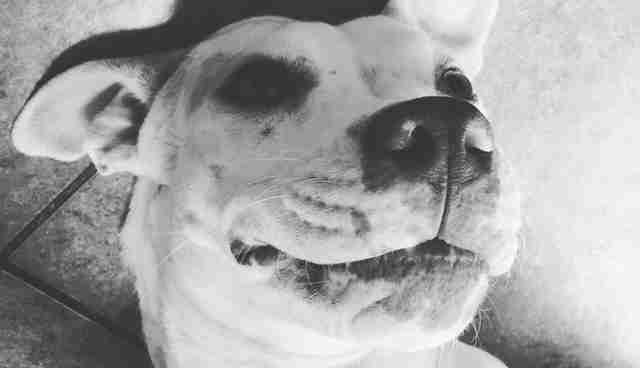 She wanted to live and each time we were given heavy choices to make, she would do something amazing, like get up and walk, move her front leg or even roll over for belly rubs. This girl knew we were saving her so she wasn't going to give up and she wasn't going to let us give up either. Watch Lacey's amazing first walk after only five days in our emergency vet. This girl is nothing short of a miracle! 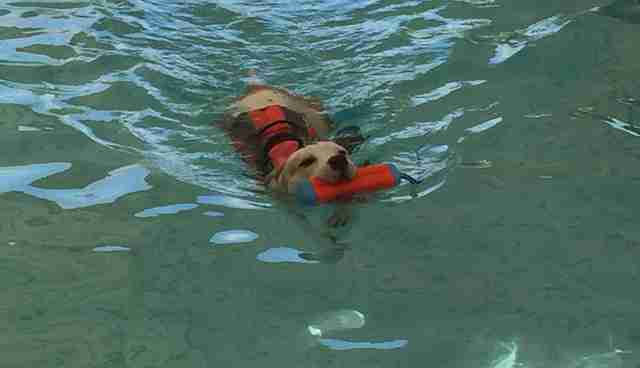 After almost six weeks, Lacey has been at our emergency vet, another vet hospital - where she underwent more treatment and rehabilitation - and has been at a hydrotherapy facility for the past two weeks. 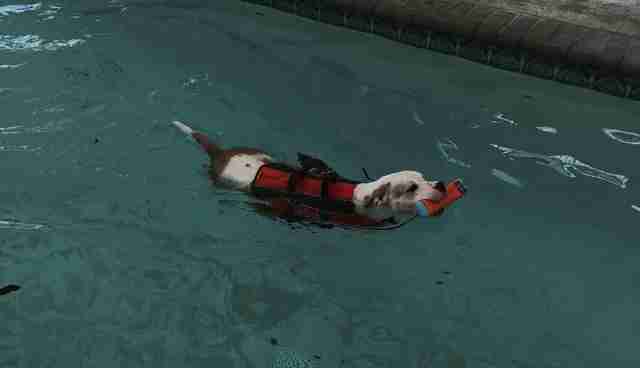 She is learning to function quite well with her new disability and even though she may never run like other dogs again, she is happy and able to play, cuddle, and swim like no other dog you have ever seen. In six short weeks, she has inspired all of us to be better, do better and believe. Lacey is about 4-years old. 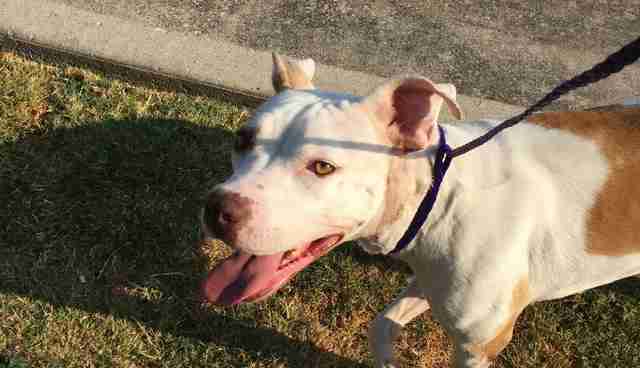 She was surrendered to a high-kill shelter in March of 2014 in Arlington, TX. 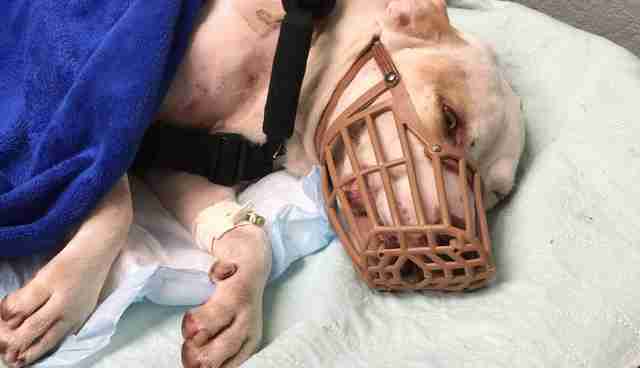 She was rescued, but never really rescued until the night she was shot. Lacey has shown us what rescue is about - she has rescued us. She is up to date on all of her core vaccines, is altered and will be microchipped through our rescue before being placed in her forever home. She will still be going to our trainer (who never got the opportunity to assess her for any fear or aggression issues before now) and in the weeks and months to come will be available for adoption through Bulluvable Paws and Chi Wawa Rescue. She has a way to go but rest assured, she will do what needs to be done, and so will we. 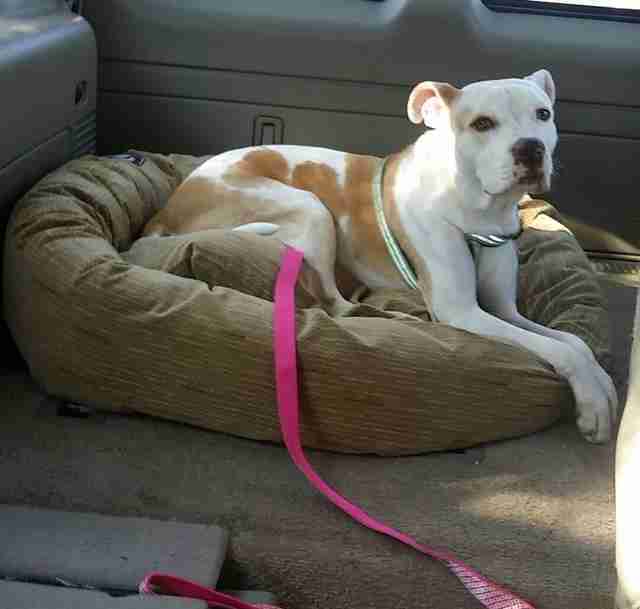 We are fully committed to rehabilitating her to the fullest extent and finding her the forever home she so deserves. She would love a home with a pool or lake near by. She has become our water girl! We are accepting donations through our Go Fund Me page to help offset the more than $10,000 in medical costs to date. 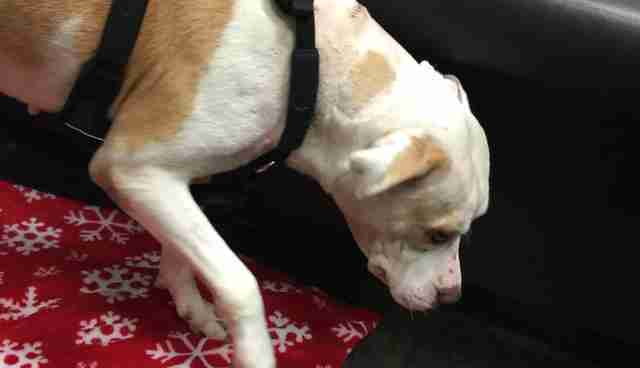 Lacey will need ongoing medication, possibly for her life span, and may eventually still need her bad leg amputated as well.